The family of Nicholas Figueroa confirmed today that his body was found in the rubble of 121 Second Ave. He was 23. According to various media accounts, Figueroa was on a date at Sushi Park with 22-year-old Teresa Galarce at the time of the blast that ultimately leveled three buildings. Galarce, a co-worker at Bowlmor Lanes at Chelsea Piers, suffered a broken nose, broken rib and punctured lung during the explosion that authorities believe was caused by leaking natural gas. Figueroa was a December graduate of SUNY Buffalo State with a degree in criminal justice. College friends told The Wall Street Journal that he liked to go kayaking, rock climbing and hot-air ballooning. And he loved salsa. "He wasn’t a very good dancer," one friend said. "But he got better," said the other. He was the oldest of four brothers. "He is one of those people that lives life to the fullest. He's always happy," his brother Neal told the Daily News several days ago. Said his brother Tyler on Friday: "Nicholas is a happy-go-lucky guy. He loves to experience adventures and go on crazy adventures. He's got the biggest, brightest smile, too. I don't even know why he was at a sushi restaurant. I thought he was a vegetarian." Figueroa had just paid the couple's bill at the back of the restaurant when the explosion rocked the building. Authorities recovered a second body today, though they have not made a positive ID. The other missing man is Moises Ismael Locón Yac, who worked at Sushi Park. Updated: There is a GoFundMe campaign set up to help the Figueroa pay for funeral expenses. i'm so sorry. RIP, glad he is found; condolences to the family. what an awful loss. Very, very sad. What a massive disaster. Yes, we vegetarians/vegans love sushi restaurants; avocado rolls, tofu rolls, cucumber rolls, seaweed salad. I'm glad his last moments were spent doing something that held promise and joy. I'm sure he was a fun guy. RIP Nicholas and condolences to his family.Extremely sad for this young man. He seemed to be a wonderful person and the type the world needs more of that is for sure. I didnt even know him and i am going to remember his smile . My deepest sympathy to Mr. Figueroa's family and friends. I didn't know him, but I was praying he would be found alive. I am so sorry for Nicholas and for his family and his friends. So sorry to hear this sad news. Godspeed, Nicholas. Sorry for the loss. He was a handsome young man with a promising future. My heart goes out to his family. May God keep Nicholas safe in heaven and my God strengthen the Figuroa family. My condolences to the family. Grace and Peace be with you all. 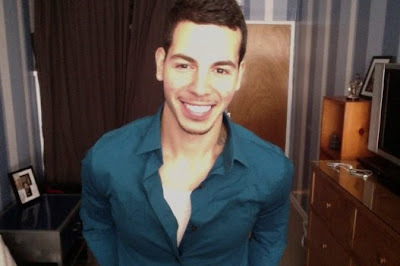 Nicholas Figueroa RIP. Vision Zero for this ever happening to another human being. Standing in a building should be safer than standing in the center of the road. Vision Zero for innocent young people like Nicholas dying on the wild west autostrada running through the buildings and homes of this city. Clean up the building industry. Nicholas should not have died. I am sad for his loss and sad for his family and friends. I am praying for Nicholas's family and friends. Such a tragic loss of a wonderful young man. Maybe a new tree in TSP would be a way to start healing..
RIP to both of these young men. My heart goes out to their families; they sounded like a couple of terrific people, and I can't imagine losing your child in such a fashion. So heart-breaking! Condolences to this wonderful young man's family and friends. And if they do confirm that the explosion was the result of illegal gas line tampering, as I suspect they will, the perps need to be charged with murder, nothing less severe than that. Rest in peace. Condolences to the families and friends. Such a sad and sudden ending to a life. I like 10:12am's idea of planting a tree in TSqPark. Or two, one for each victim. It's the first suggestion I've heard that's given my heart a little lift. Why doesn't the media ever mention the names of the landlords responsible for catastrophic deaths of innocent people in their buildings? Why the double standard when crimes like this affect entire communities? Shouldn't we know this essential information? What is wrong with our news media? Yes, why aren't the landlords being brought to attention? They should be held civilly and criminally responsible if they were negligent/or did illegal activity just to earn a buck. When does this vicious cycle of greed end? When will these landlords be satisfied with their large sums of money? When will it be adequate? Do they have to bathe in a tub of cash to feel better? I don't understand the laws here.